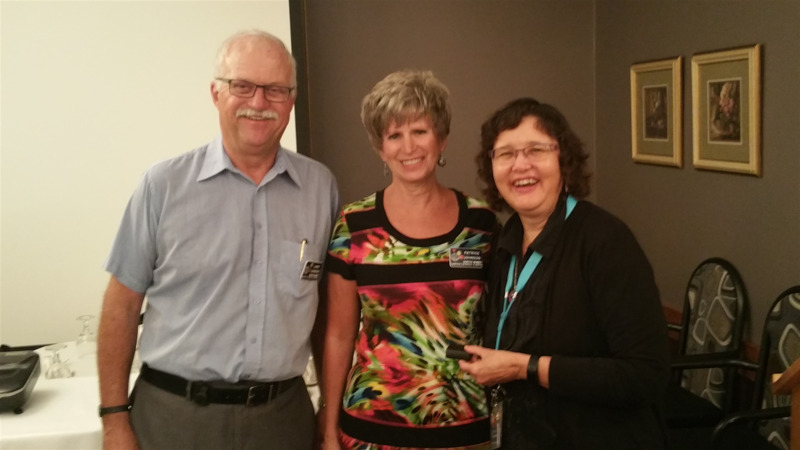 President Carol Breitkreutz (right) presents Rotarians Larry Johnson and Patrice Johnson with Paul Harris pins. Paul Harris Fellowships acknowledge generous contributions to the Rotary Foundation - the engine behind the global good works of Rotary. The Johnsons' lives exemplify the 4-Way Test and we are so lucky to count them as members in our Club. Well done, Larry & Patrice!